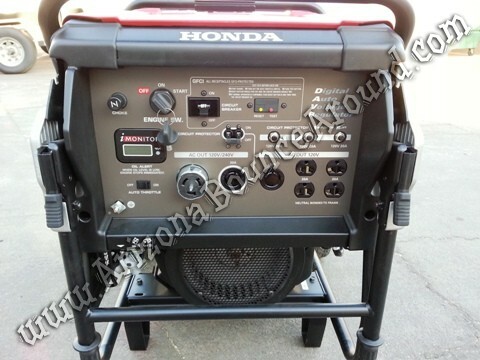 Rent a Honda EB10,000 watt generator for your next event. 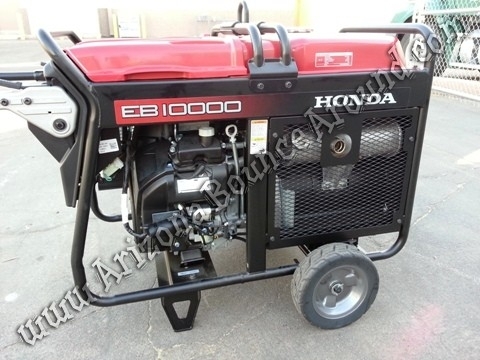 This Honda generator rental can be picked up or delivered and is rented with or without a power distribution box depending on your event power needs. This generator has an 8.19 gallon fuel tank and features Honda's Echo throttle switch that allows the generator to run only as fast as needed during opperation for lower noise levels and fuel economy. We can run approx 6 inflatable blowers if used with a power distribtion box as long as the inflatables are close together. Please ask one of our party and event planners for more information or submit your party plans or layouts to us for review.